Find Denver, NC New Homes for sale. View Photos, Maps and MLS Data Now! The Ranches At Beth Haven - This home has so many upgrades it’s a MUST SEE! MLS#3495842. Marc 1 Realty. Smart Home features included in this home are a doorbell camera, front door lock and thermostat with remote access, four zones of light controls, Walk-in-Fi Hub, and voice-controlled audio device. Find out more today! MLS#3495156. Eastwood Homes. 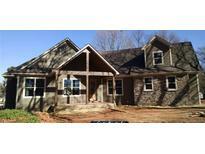 Minutes from new Hwy 16 makes it convenient to CLT/Airport/Mooresville/Lake Norman. MLS#3492178. Carolina Realty Solutions. Ashley Cove - Entertain friends and family on large, tongue and groove covered deck with seasonal water views. Deeded boat slip included. MLS#3492915. A Better Choice Realty. Proclaim plan! MLS#3491627. Homes of the South Inc.
Trilogy Lake Norman is an exclusive community that features a 5-star lifestyle and a stunning Resort Club The Club may feature a state of the art fitness center, terrific dining, clubs and more. MLS#3491577. Homes of the South Inc.
Westport - For a limited time, you will be able to customize your interior and exterior selections! MLS#3486507. ElleBee Realty and Associates. Westport - This home is on a tall crawl with tons of space for additional storage! MLS#3486501. ElleBee Realty and Associates. Smart Home features INCLUDED in this home are a doorbell camera, front door lock and thermostat with remote access, four zones of light controls, Walk-in-Fi Hub, and voice-controlled audio device. Find out more today! MLS#3488198. Eastwood Homes. Make Life Easier with Your large Mudroom/ Laundry!Hardwoods, Anderson Windows,Beautiful Molding,Solid Doors,Custom Wood Cabinetry- Closets & Laundry/Mdrm!Upper Level Offers large Bdrm,Bonus& Full Bath!Oversized Garage Designed for Storage of Lake Toys!Light Filled Walk Out Basement Offers Plenty of Additional Storage,Ready to be Finished!Covered Lower Level Patio to Further Enjoy Outdoor Living! MLS#3483877. Ivester Jackson Properties. New Connect plan! MLS#3489159. Homes of the South Inc.
Plans and pricing subject to change and subject to approval by the hoa/architctural review committee. MLS#3486879. Titan Realty, Inc..
Popular Graham Loft plan! MLS#3488901. Homes of the South Inc. There is a 10' x 22' covered rear patio to enjoy and to entertain on. A must see. MLS#3488713. Shea Realty. Covington at Lake Norman - All home features are subject to change without notice. Internet service not included. MLS#3487438. DR Horton Inc.
We look forward to meeting you! MLS#3485942. Lennar Sales Corp.
We look forward to meeting you! MLS#3485029. Lennar Sales Corp. Villages Of Denver - MLS#3484226. NVR Homes, Inc./Ryan Homes. We look forward to meeting you! MLS#3482611. Lennar Sales Corp.
We look forward to meeting you! MLS#3482624. Lennar Sales Corp.
We look forward to meeting you! MLS#3482627. Lennar Sales Corp.
Killian Crossing - The home is currently under construction. MLS#3481305. Hecht Realty, Inc.
Killian Crossing - Closing contributions available with preferred lender. MLS#3476062. Keller Williams Ballantyne Area. Killian Crossing - Closing cost contributions available with preferred lenders! MLS#3476863. Keller Williams Ballantyne Area. Large, very private lot with large rear deck. Full 1-year/2-year/10-year warranties provided. MLS#3473501. TLS Realty LLC.